Georga Sutton and RWS Cocoa D Or Badger, the high point open yearling filly in the South Dakota Quarter Horse Association in 2014. Ray and his father, Raymond, are pictured with AQHA Champion Sokota Babe and SDQHA High Point Mare, Jerri Punk, in 1966. The late Ray Sutton and his wife, Georga will be inducted into the 2018 American Quarter Horse Association (AQHA) Hall of Fame. The Suttons are the first South Dakota natives to be inducted and only the second couple to be so honored. "Induction into the American Quarter Horse Hall of Fame is the highest honor possible in the American Quarter Horse Association," said Craig Huffhines, AQHA executive vice president. "Georga and Raymond Sutton have greatly impacted our Association, and I look forward to welcoming these deserving individuals into the Hall of Fame in 2018." The Raymond Sutton Ranch, located near Gettysburg, S.D., is home of the oldest quarter horse production sale in the world. Horses raised on the ranch carry the original ranch brand, S quarter circle, on their right jaw. The Sutton ranch was established by Edwin Sutton in 1894. Since 1916, the Suttons have raised cattle, buffalo and horses on their ranch, with a strong emphasis of raising successful bloodlines that will produce dominant breeders with distinctive carry-on breeding abilities. Recipients of AQHA's Legacy Award (50 years of continuous breeding) and the 50 Year Cumulative Award, they will host their 66th annual production sale in September 2017. The sheer numbers of horses sold to more than 1,000 customers is a testament to the strength of their program. By the end of 2016, the ranch had registered 2,646 foals and is still counting. "The goal has always been to produce the best horses possible," said Georga Sutton. "The move from horsepower to mechanical means of farming necessitated a rethinking of the horse program on the ranch. Early saddle horses were a necessity and bloodlines were not closely scrutinized. If the horses were able to put in long, hard days over miles of country, then they were acceptable." In 1910, the Suttons started raising registered Hereford cattle, and by 1916 they had invested in their first purebred horses with the purchase of five Percheron stallions. "Most of our horses were sold privately, but in Aug. 1933, a trainload of Sutton horses were shipped to the Chicago market," said Georga. "This shipment was one of the largest of its kind and made the headlines in Chicago. This trainload also reflected a shift was coming to the ranch with less emphasis on breeding draft horses and more attention paid to raising saddlehorses." A severe drought in Texas in the late 1940s provided the opportunity to get in the registered Quarter Horse business, and Georga says the AQHA's emphasis on Ranching Heritage Breeders has helped to refocus on the reason Quarter Horses were first developed. 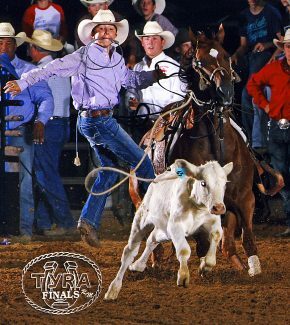 "We strive to raise horses that are multi-talented," said Georga. "We believe in horses that are beautiful in mind, body and disposition; they can be specialists, all-around performers or just faithful friends. Our program has always had the all-around horse as our goal. 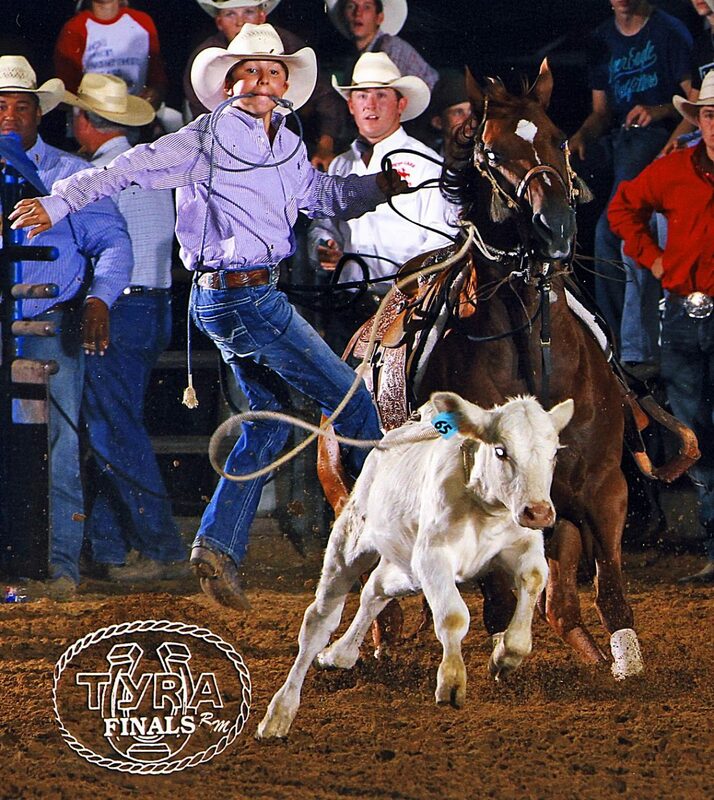 It is what Quarter Horses excel at and it is what we breed for." Both Ray and Georga grew up riding horses, and when they met at South Dakota State University, their passion for the equine industry brought them together. The couple married in July of 1968, and they worked together for 37 years breeding the best horses possible. The proof of the Raymond Sutton Ranch breeding program is in the success their customers have found through their purchases. The ranch résumé boasts numerous awards and accomplishments. The ranch is home of Bill's Rock, who was first in AQHA Get-of-Sire for two years; Peggy Note and Patty Punk, who were both first in AQHA Produce-of-Dam; Sorrel Spark, whose produce accumulated 2,592 AQHA points and boasted a World Champion Senior Pleasure Horse, two AQHA High Point Halter Mares, a Youth Supreme Champion, Open and Youth AQHA Champions. Horses from the ranch's breeding program have Superiors in halter, pleasure, hunt seat, showmanship and horsemanship; and are the dams of Dynamic Deluxe, Sudden Inclination and Cowboy's Squaw II, who was AQHA's Honor Roll Mare, just to name a few. "When we got serious about being in the registered Quarter Horse business, we knew that we had to get our horses out for people to see," said Georga. "A few of the early stallions the ranch owned came with some type of show record. Some did not. Ray and I always enjoyed showing our horses, not for the trophies, but for the satisfaction of knowing that what we bred was as good as or better than the competition. Heather and I still enjoy the challenge of the show ring." Heather is Georga and Ray's daughter, who returned to the family ranch in 2006 following the untimely death of her father just days prior to the 2005 production sale. "Raymond was killed fighting a fire on the ranch," said Georga. "He was an AQHA National Director and Judge for over 20 years, a man who loved being around horse people. Since his death, Heather has joined me in operating the ranch and breeding horses." "It would have been easy to throw in the towel in 2005 after Dad died, but we wanted to keep going and continuing the family tradition," said Heather. The younger of the two-woman duo says she has fond memories growing up on the ranch and learning the ropes of the business from her parents. "We always used to say, 'the family who cleans stalls together stays together,'" said Heather. "Growing up, we spent a lot of time working cows, putting up hay and the other day-to-day responsibilities of running the ranch. Some of my fondest memories are when I was younger, and my parents were able to go to the horse shows, too. They both had very hard work ethics and a strong interest in horses, and they taught me that your word is your bond. I think that's why people continue to come back as repeat buyers each year; they know we are honest people to do business with." The Suttons' first sale was held at the sale barn in Aberdeen, S.D. in 1951. Today, the sale is held at the ranch, and most of the offering is current year foals with a few older geldings and mares. "We hold the sale at the ranch because we feel it is important for our customers to be able to see both the sire and the dam of the horses," said Georga. "Horses from the sale have gone international as well as staying in the United States. Buyers from 10 states took home horses from the 2016 sale. We have requests for over 700 catalogs that are mailed out." While Georga is a retired school teacher, Heather has put aside her career as a veterinarian to work full-time on the ranch. 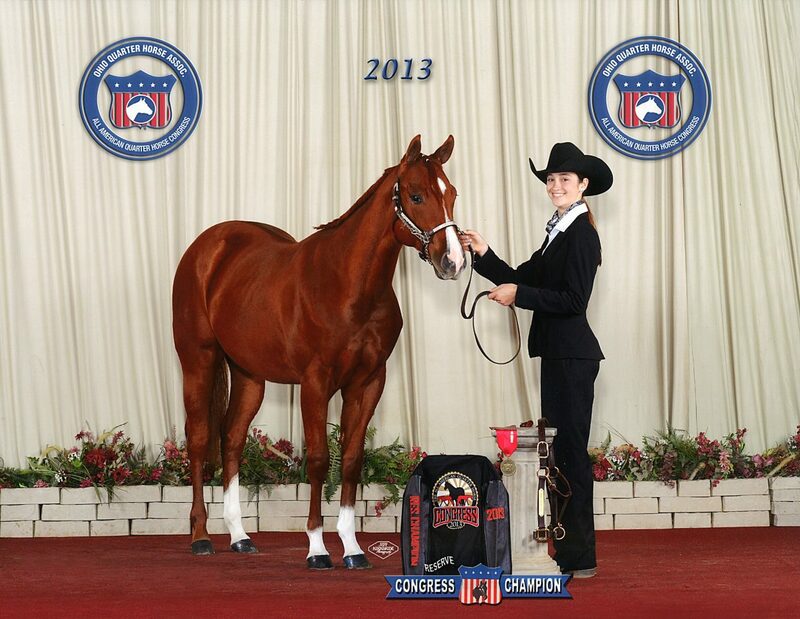 Together, the pair has a sharp focus on their breeding program and continuing the legacy the Sutton family has built. Today, the Suttons maintain a stallion battery of 15 and a mare band of over 100. To prepare for the sale, the two take photos, put together the catalog, advertise, freeze brand, and "halter gentle" the foals. Last year, they each haltered 40 of the foals before the sale. "In recent years, we have focused more on performance horses, for cutting and cow horse events," said Heather. "We've invested in some new bloodlines, and we plan to do some embryo transfer work on our older, successful mares in the next couple of years." In Heather's spare time, she serves on the marketing committee for AQHA and on the board of directors of the South Dakota Quarter Horse Association. Over the years, Georga has served on several AQHA committees including international, studbook, registration and Hall of Fame Selection. 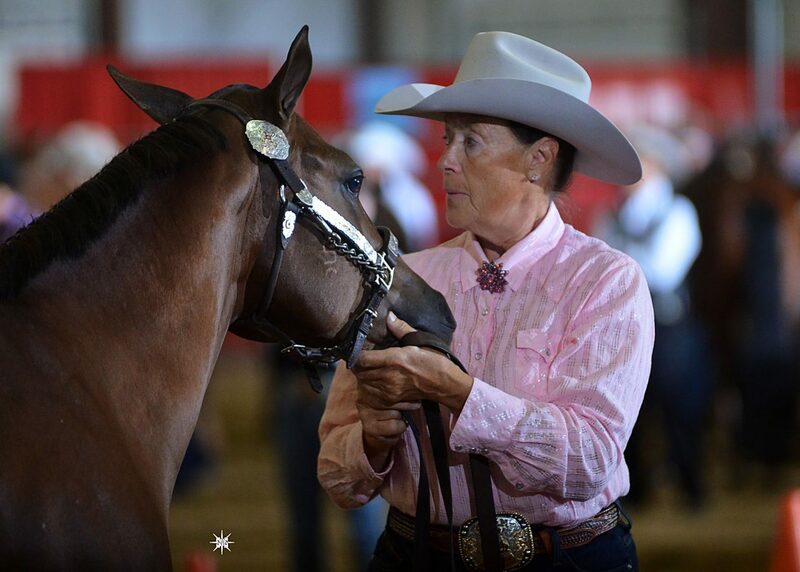 In 2013, Georga was named an honorary AQHA vice president, and both she and Ray served as presidents of the South Dakota Quarter Horse Association. 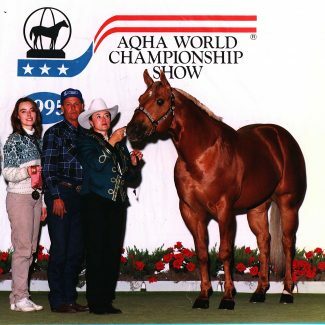 Joining Ray and Georga Sutton on the 2017 AQHA Hall of Fame are five horses including Maroon (TB), Otoe, Runaway Winner, Smart Chic Olena and The Ole Man. Also being inducted are AQHA members including Abigail Kawananakoa of Nuevo, Calif.; Dr. Tom Lenz of Louisburg, Kans. ; the late AQHA Past President Gene Graves of Grand Island, Neb. ; and the late Robert Sutherland of Kansas City, Mo. To learn more about the Raymond Sutton Ranch, visit http://www.raymondsutton.net.